Starting today, June 12, US consumers can pre-order Sony's latest top-of-the-line smartphone, the Xperia XZ Premium. The handset is available only unlocked, and can be ordered from Amazon and Best Buy. 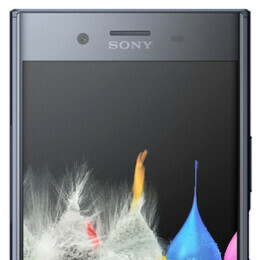 As you can see at the source links below, both retailers are asking $799.99 for the new Xperia. With its water-resistant metal and glass design, the Sony Xperia XZ Premium certainly looks attractive, albeit it's not too different from other Sony flagships released in recent years. Of course, the XZ Premium comes with various improvements over its predecessors - including a mighty Snapdragon 835 processor, a 5.5-inch screen with 2160 x 3840 pixels and HDR support, and a 19 MP rear camera that can shoot super-slow-motion video (960 fps). One thing to consider before pre-ordering the Sony Xperia XZ Premium is that the fingerprint scanner is disabled on the US model. It's pretty weird to have a high-end phone without a fingerprint scanner in 2017, but, hey, that's how things stand when it comes to this particular device. We already reviewed the Sony Xperia XZ Premium, and we liked it more than some older Xperia flagships. Nevertheless, we're not truly convinced that $799.99 is the right price to pay for this smartphone, especially since you're not getting a fingerprint sensor with it. Both Amazon and Best Buy are offering the Xperia XZ Premium in three color variants (black, pink, and chrome), saying that the handset will be released on June 19. I've never seen a phone this fast. It has beaten all other phones by a big margin, like the S8+:https://www.youtube.com/watch?v=k7vLoFJcfsI Sony really nailed it with the XZp. Another huge bezelicious bohemoth gigantic phone by Sony. No thanks , ill go for the newer designs , performance is top notch on all flagships today. Bye Bye Sony . I agree, it's a beast of a phone... It even beats (closely) the HTC U11. I have the XZ and I love it is an excellent overall phone.